We compared the efficacy and safety of the addition of lapatinib versus trastuzumab or their combination to neoadjuvant chemotherapy in HER2-positive breast cancer. Potentially eligible trials were located through PubMed and Cochrane Library searches and abstracts of major international conferences. The endpoints that we assessed were pathologic complete response (pCR) rate, and toxicity. Pooled risk ratios (RR) were estimated for each endpoint with fixed or random effects models, depending on between studies heterogeneity. Six trials were identified with 1,494 eligible patients. The probability to achieve pCR was higher for the trastuzumab plus chemotherapy arm versus lapatinib plus chemotherapy (RR 1.25, 95 % confidence interval [CI] 1.08–1.43; p = 0.003) (6 trials; 1,494 patients). Probability to pCR was significantly higher in the group receiving lapatinib and trastuzumab than in the group with trastuzumab alone (RR 1.39, 95 % CI 1.20–1.63; p < 0.001) (4 trials; 779 patients). Grade III–IV diarrhea and dermatologic toxicities were statistically more frequent in patients receiving lapatinib. No differences were observed regarding cardiac adverse events among patients receiving trastuzumab, lapatinib, or their combination. 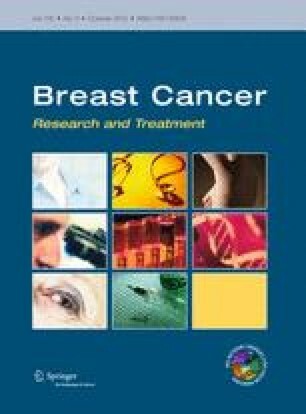 These data supports the superiority of a dual-HER2 inhibition for the treatment of HER2-positive breast cancer in the neoadjuvant setting. The direct comparison of trastuzumab and lapatinib showed that lapatinib is inferior in terms of pCR and associated with a higher risk for toxicity.